The program Strokes Maker 1.x is intended for creation of black-and-white and color shaped vector images on the basis of the initial raster image. It allows to create analogues of etchings and engravings in a semi-automatic mode. The artist has tools at his disposal of automatic filling of shaped areas, and of manual drawing to a line of a stroke with the subsequent automatic calculation of strokes. The light version of the program includes basic tools which can be quite enough for creation of complex black-and-white and color shaped images. More information about our products you can find Vectools site Vectools.com. 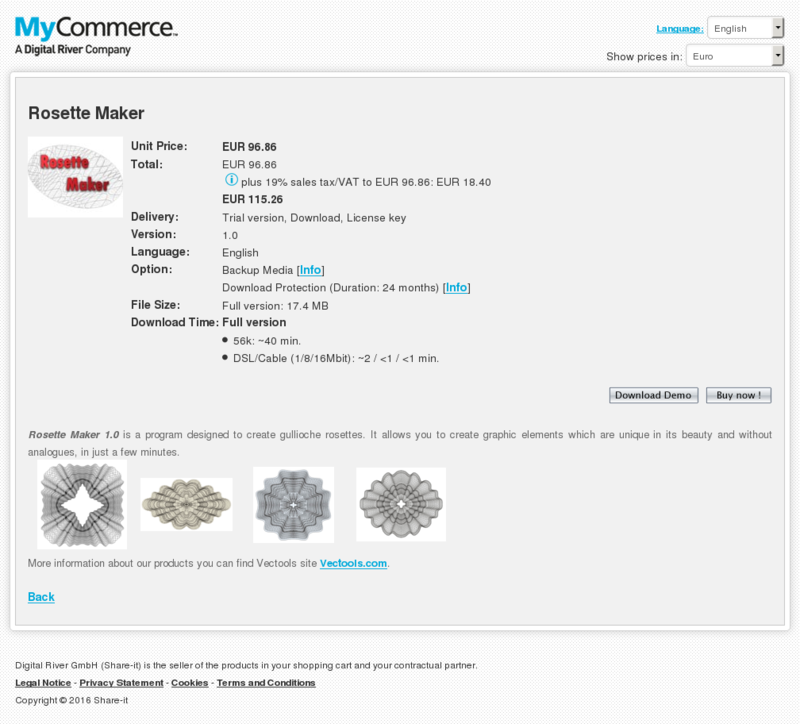 Rosette Maker 1.0 is a program designed to create gullioche rosettes. It allows you to create graphic elements which are unique in its beauty and without analogues, in just a few minutes.